STEM education has been a topic of discussion in the education sector for many years. These days, it’s not just about getting girls interested in STEM, but ensuring that students from all backgrounds - including those of disadvantage - can reach their full potential using STEM. 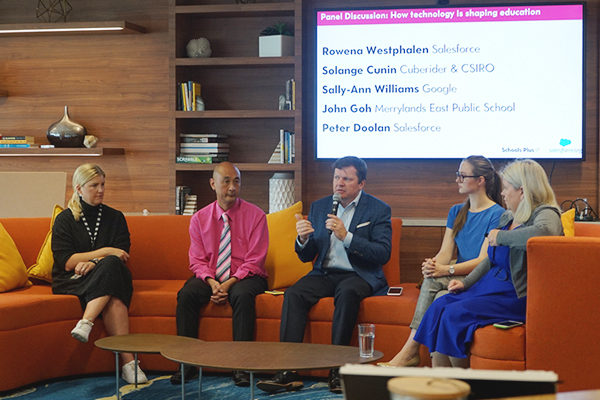 The recent Collaboration Forum, run by Salesforce and Australian Schools Plus, identified the key areas of focus when it comes to STEM education through its panel, case studies and design thinking sessions. At Australian Schools Plus, our mission is to ensure that every Australian student has the education they need to fulfil their potential. 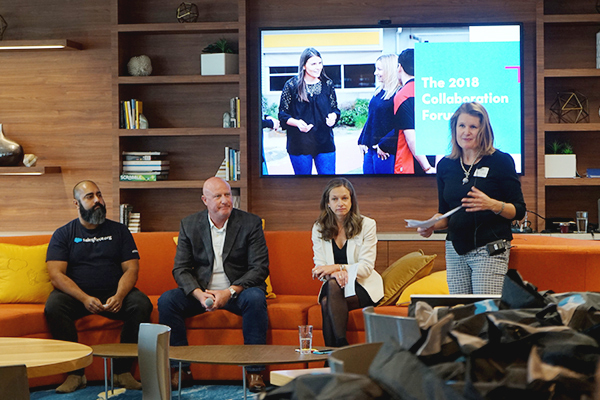 We firmly believe that building partnerships between schools and industry leaders is a great way of making this happen, and that is why we teamed up with Salesforce for the inaugural Collaboration Forum. 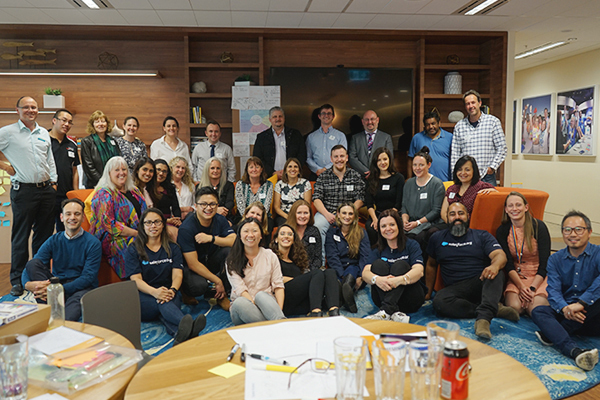 Together, we hosted 28 teachers from 16 of the schools supported by Salesforce so they could learn from each other about best practice in STEM education, and hear from guest speakers in the education and technology sectors. The forum focused specifically on strengthening the presence of science, technology, engineering and maths (STEM) subjects in schools, and highlighted the importance of making STEM education accessible to students from a broad range of backgrounds. This is a real challenge; schools will benefit by working with each other and the technology sector to develop the right tactics to improve access to high-quality STEM education. Schools Plus’ relationship with Salesforce began with a small-scale partnership in 2015 and since then, we haven’t looked back. Salesforce now works with 18 schools and four school clusters across every state and territory of Australia, directly impacting nearly 13,000 students. Partnering with an industry leader is a very rewarding experience for schools. 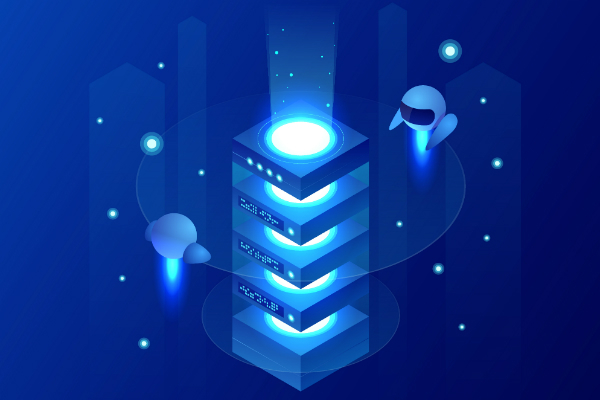 In the case of Salesforce, support includes financial assistance to do things like purchase new technology or provide professional development for teachers, plus the voluntary time of the Salesforce team for activities like coding workshops for students of all ages. But the benefits aren’t just one way. Industry also stands to gain a lot from having a good relationship with schools – after all, these are the places that train the workforce of tomorrow. "Schools will benefit by working with each other and the technology sector to develop the right tactics to improve access to high-quality STEM education." A great example of how industry and schools can work together to make a difference is the partnership between Salesforce and Wyndham Park Primary in Melbourne. The school introduced robotics to its Year 5 and Year 6 students, and got kids involved in the FIRST Lego League Tournament. Fast forward a few years and Wyndham Park Primary is now the regional leader for the Lego League in their network of schools. Introducing STEM subjects into the classroom isn’t always plain sailing, and one of the most interesting sessions at the Collaboration Forum provided some excellent help and advice to teachers about how to get things off the ground. In addition, the Ignite and Innovation Lab sessions ran over two days, working with teachers to formulate new tactics to help engage their students in STEM. Many teachers identified that they face challenges with disinterested students – young people who don’t understand how STEM subjects apply to their lives. The teachers worked in teams to come up with some creative solutions to tackle this problem head-on, which include hosting video game expos at schools, encouraging students to come up with their own ideas for games, and teaching them the skills behind game development. "By engaging with STEM, students become more digitally literate and able to read and interpret data." Another big challenge for schools is making sure STEM teaching reaches a diverse audience. This was highlighted by Sally-Ann Williams from Google at the Collaboration Forum. “We need to address the lack of diversity in STEM and recognise that it’s not just about getting women into the field, it’s also about kids from rural areas, indigenous students, low SES, migrants or other diverse backgrounds,” Williams said. “In classrooms, we need to change practices and work to remove unconscious biases. Gender-biased career associations can start as early as kindergarten, so we must look at how STEM can be woven into every part of a student’s journey,” she said. The exciting thing about STEM education is that it offers much more than simply ‘being good at maths and science’. STEM learning can improve skills like problem solving, collaboration, resilience and creativity, and have far-reaching effects across the whole of a child’s education. Through STEM, students become more digitally literate and better able to read and interpret data. Robotics and coding activities give students the opportunity to test, fail and learn from failures in a safe environment. The technologies that are often used as part of a STEM education can also be used to engage the whole school across different subject and ability groups. For instance, geography students might go on an excursion and take VR footage. Students who didn’t attend could feel like they were a part of the action by donning VR headsets and immersing themselves in a whole new world. By introducing STEM into schools and partnering with industry early on, we can ensure that students of today are ready for the world of tomorrow. It’s the business of business to change the world. 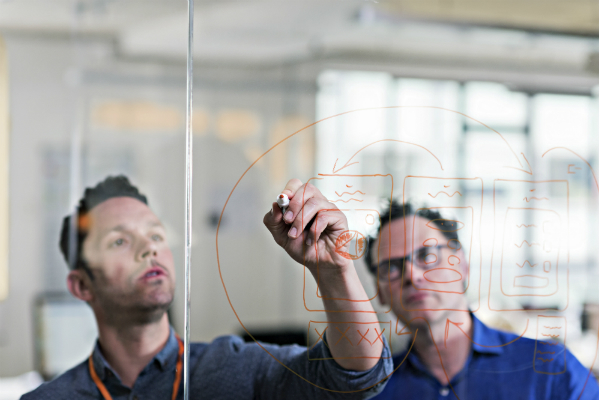 Find out more about Salesforce’s model of integrated corporate philanthropy and take the 1% pledge. 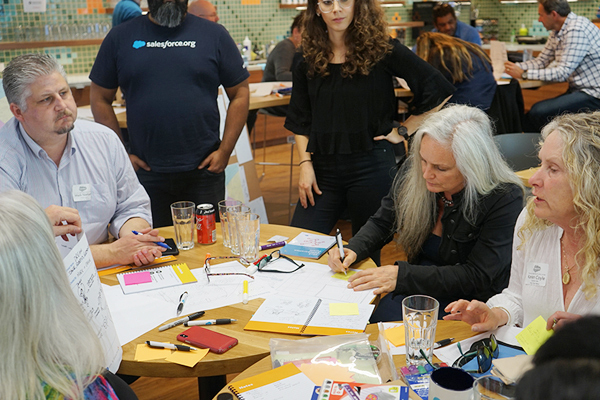 Discover how nonprofits are responding to disruption and building organisations for the future. 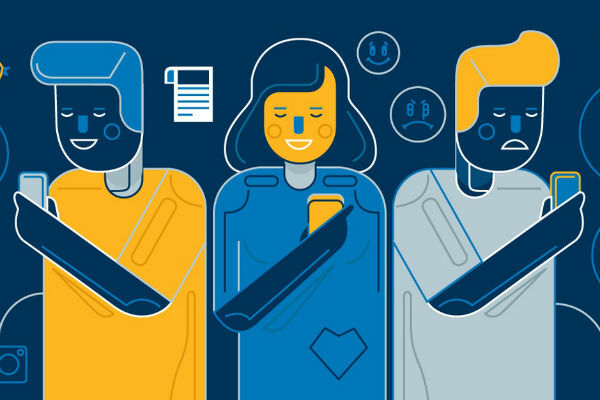 Download the Salesforce Nonprofit Trends Report.